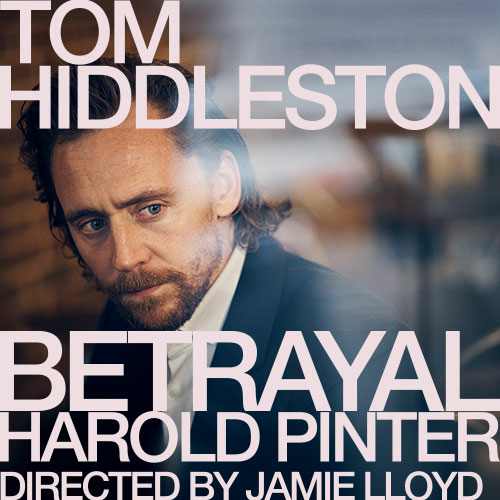 Harold Pinter's 1978 play Betrayal tells the story of a love triangle which is played out in reverse over the course of nine years. Emma is married to Robert, but having an affair with his friend Jerry. As the story plays out backwards, we are shown the high price of passion and the damage inflicted by desire. The piece was supposedly based on Pinter's own affair with the broadcaster Joan Bakewell during the 1960s. Ian Rickson's revival stars Kristin Scott Thomas as Emma. A BAFTA and Olivier Award-winning actress, Scott Thomas's work includes The Seagull, As You Desire Me and Three Sisters on stage, and the films The English Patient, Four Weddings And A Funeral, Gosford Park, Nowhere Boy, Easy Virtue and I've Loved You So Long. She is joined in the cast of Betrayal by London stage regulars Douglas Henshall (The Cryptogram, The Coast Of Utopia) and Ben Miles (The Norman Conquests, My Child, TV's Coupling). Pinter, who died in 2008, is the author of numerous plays including The Homecoming, The Lover and The Collection, The Hothouse, Moonlight and The Dumb Waiter.